Every month we get players nominated from all over the world and you can always tell when a nominee has really made a great impact on our sport. This month’s award winner lives in the community of Greenwood Indiana and has been bringing new players to the courts for years. 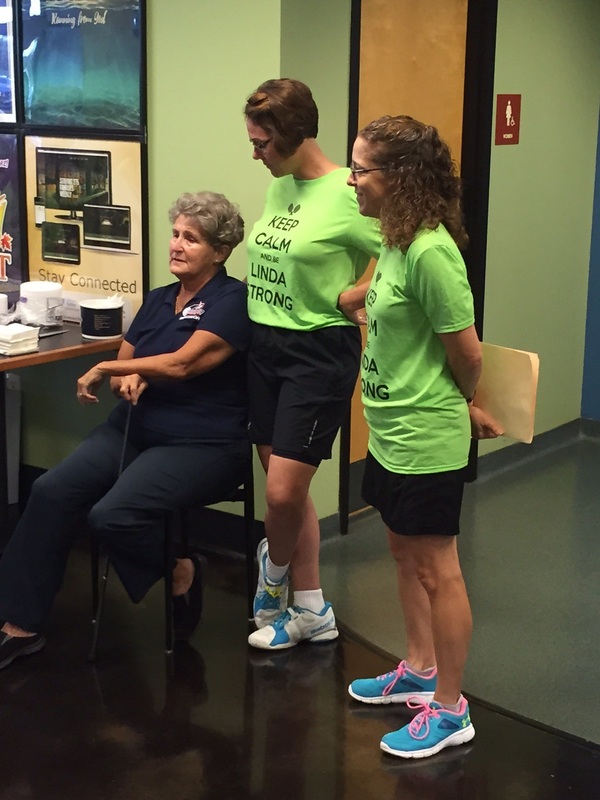 Linda has helped start pickleball at the Community Life Center, The Baxter YMCA, the Martainsville YMCA, and The Gathering Place. She worked with Garfield Park on their pickleball program, and many others. She has also worked with the Greenwood parks Dept on lining the outdoor tennis courts for pickleball and headed up tournament to raise money to cure cancer. According to the people we met, Linda has helped literally hundreds of people pick up a paddle for the first time, but the one consistent message we heard was that Linda is a person who reaches out and touches people in so many positive ways. 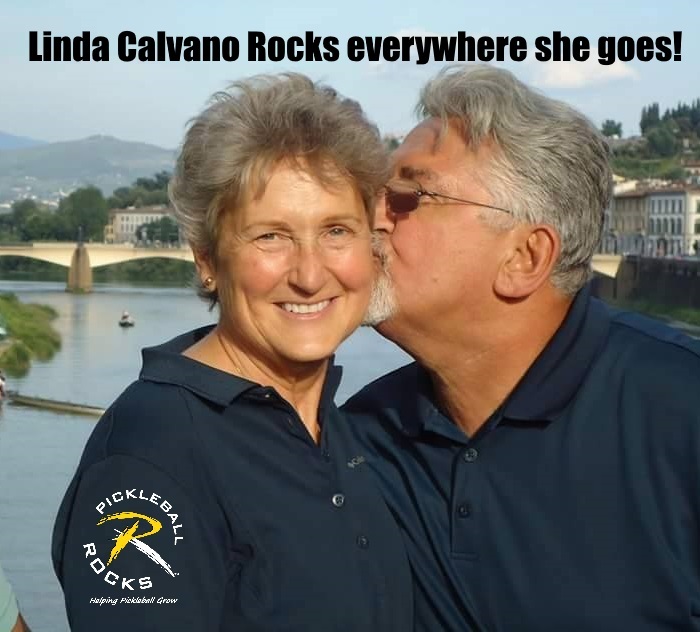 Please help us congratulate our October 2016 Pickleball Rocks Player of the Month, Linda Calvano. 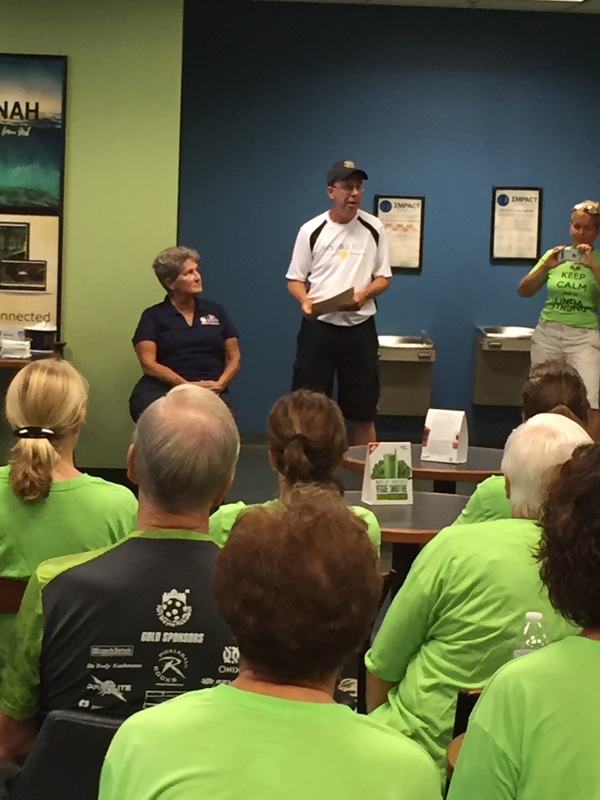 Thanks to Stephanie Lane and Dave Weinbach, the countdown has officially begun to the biggest annual pickleball event of the year, USAPA Nationals VIII in Casa Grande, Arizona. Expect to see lot’s of great pickleball, but more importantly expect to see old friends and make a ton of new ones. We’re proud to be a Masters Level sponsor and can’t wait to see everyone there. 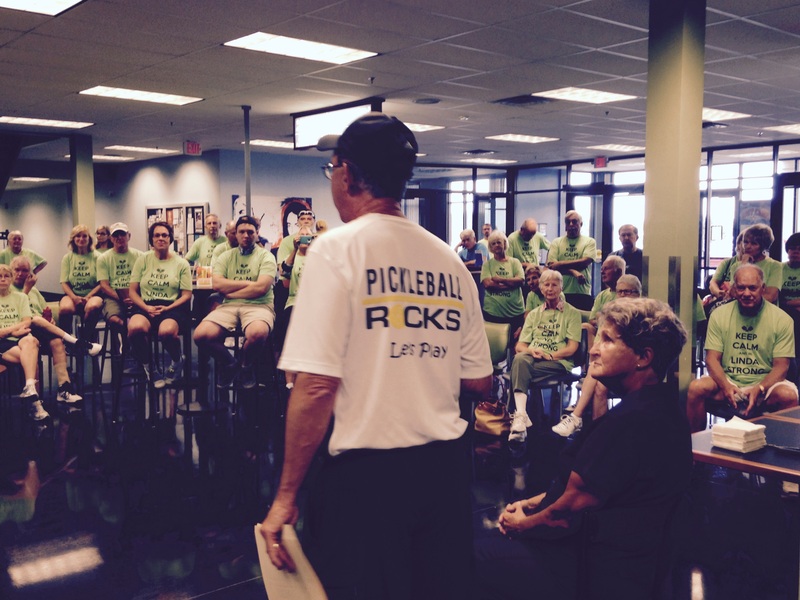 The Pickleball Rocks Team announces it’s first ever logo licensing agreement with ProLite Sports. Just sharing this press release with our Pickleball Rocks fans. Exciting indeed to see our name on a great high end paddle. Thanks ProLite. The pickleball fanatics at Pickleball Rocks have inked an agreement with long time pickleball paddle maker Pro-Lite Sports, to use the Pickleball Rocks logo on ProLite’s newest paddle, the RockStar. 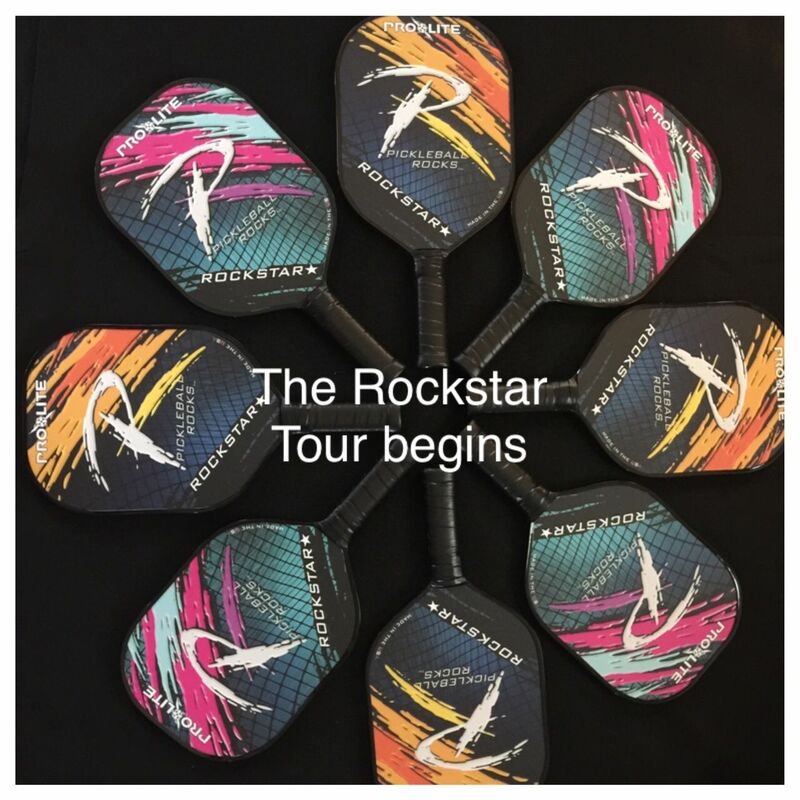 Said Pickleball Rocks CEO, Rodney Grubbs, “ though the RockStar was built to help the brand new player get into the sport of pickleball at a very low cost, it plays like many of the much higher priced polymer paddles. The RockStar is made in the USA and utilizes the amazing QuadCore polymer honeycomb inside with a fiberglass face and MicroEdge guard. The RockStar weighs in at 7.4 – 7.8 ounces, has Pro-Lite’s Limited Lifetime Warranty and will retail for less than fifty dollars. About Pickleball Rocks and AllAboutPickleball.com and PickleballShopping.com and ProLite Sports. Pickleball Rocks™ is a registered trademark and PickleballRocks.com is a world famous blog website providing fun tips, tools, news and discounts for the sport of pickleball. AllAboutPickleball.com is a popular community building website as well as the foremost website to get any and all questions answered about the sport of pickleball. PickleballShopping.com sells dri fit shirts, hats, Pro-Lite pickleball paddles and loads of other “Pickleball Rocks” branded gifts in the US. ProLite Sports is a family owned business for more than 30 years, ProLite is the innovator of modern day pickleball paddles. Founded in 1984, the company is based in Port Washington, Wisconsin. Copyright 2018 - All About Pickleball - All Rights Reserved. The phrase "Pickleball Rocks" is federally trademarked, owned by Your Business IGNITED, LLC.